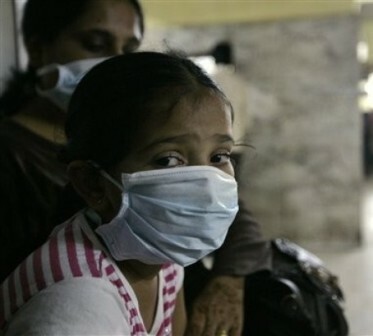 Swine flu has taken six more lives in Gujarat, taking the total number of fatalities owing to the deadly virus in the state thus far to 222. Out of the six new deaths two each were reported from Rajkot, Vadodara and Ahmedabad. According to state health department officials, SK Bhatnagar from Vadodara, who was admitted to a civil hospital, passed away early on Tuesday morning whereas Suresh Patel died at SSG hospital (SSG) later in the morning. Jyotsna Bharadva aged 40 from Rajkot , Jyotsna Bharadva, 40, a resident of Kothariya road area was shifted to the swine flu ward of PDU Hospital on January 18 and died on Tuesday noon. Jyotsna Bharadva (40), who was the resident of Kothariya road area of Rajkot, and Hansa Rani (60) from Ahmedabad also lost their lives due to swine flu. The officials added that 45-year-old Sarvottam Patel, a resident of Ahmedabad, also succumbed to the H1N1 virus on Monday but the death report came on Tuesday. The causality of Sagar Narottam (22) who lost his life at the Civil hospital in Rajkot on January 22, was also reported today.